Will High-End Indian Dining Become a Trend in New York? Is high-end Indian dining on its way to becoming a trend in New York? That is what the proprietors of Indian Accent, located near the Le Parker Meridien hotel, are predicting. 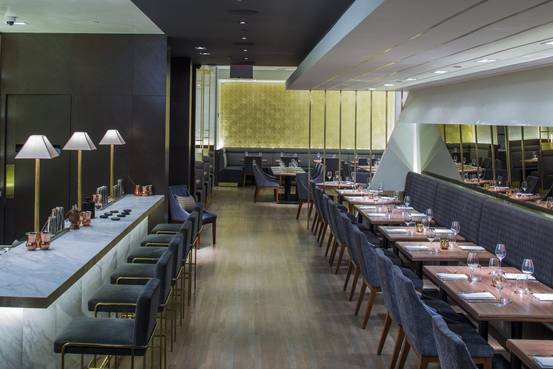 The 60-seat midtown restaurant, which opens on Thursday, comes from owner Rohit Khattar and chef Manish Mehrotra, the same team behind Indian Accent in New Delhi, a restaurant that has received global honors as among India’s finest. Indian Accent embraces a pan-Indian approach, emphasizing restaurant-style dishes from all parts of the country along with home-cooking-inspired favorites. The gourmet tweaks are many. For example, vindaloo curry, typically offered in the U.S. with lamb, is served at Indian Accent with pork belly. Quail eggs, foie gras and quinoa can be found throughout the menu. Mr. Mehrotra’s goal with such nontraditional ingredients isn’t to radically change Indian cuisine but “to enhance the flavors,” he said. He added that some tweaks, such as pairing pork with vindaloo, are nods to a more authentic approach.